Inheriting a house can sound like a great thing, but often it comes with a lot of difficult decisions. If you inherit a property or are the power of attorney for a loved one that requires a move to assisted living you want to make the right choice for all parties involved and this can be difficult. It can be an emotionally charged time for everyone involved. You have three options to consider which we will list according to the amount of time and effort required of you the seller. Fix it up and Sell it – this is the most time intensive of your options. You will need to sort through all of the personal property in the house and remove it, then make repairs and possibly updates to the house. It is the way to net the highest possible amount of money for the property. Fix it up and Rent it – while you may not have to spend as much time improving the property to rent it out, you many wind up with tenants that don’t pay or that damage your family home. This can be more emotional for inexperienced investors but can make a lot of sense in situations where you don’t need a large chunk of cash right away for the property. What sort of maintenance does the house need? And what sort of ongoing maintenance will the house need? 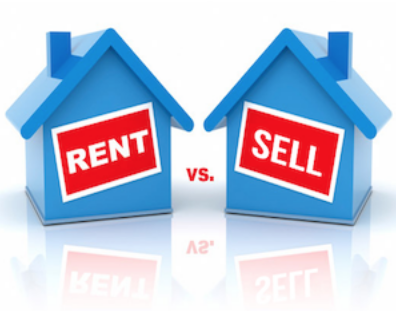 If the rent you collect is not enough to cover the mortgage and maintenance costs it might make more sense to sell it. Is the house in an area that you can rent it? In some condos the homeowner’s association may not even allow you to rent it.